A MOMENT OF CEREBUS: The End? Well, unfortunately the answer to that question is "Yes": this IS the last issue of glamourpuss. I began the book back in 2008 primarily as a means of helping me to pay off Gerhard some of the money I still owed him repurchasing his 40% of shares in Aardvark-Vanaheim, something I had been doing through 2007 and 2008 and would continue to do until he was paid off at the end of 2011 as per our legal agreement. Originally I had hoped to pay him solely with the proceeds from sales of the Cerebus trade paperbacks and Judenhass. Of course, as we all know, 2008 was the year the global economy went south in a major way. The Cerebus trade paperbacks were never exactly a box office bonanza at the best of times, but they sold steadily which meant that the revenue that used to pay general bills AND for reprinting the trade paperbacks (as Gerhard used to say, we'd spend a year reprinting the books and then live off the inventory for a year) now just paid general bills. New money was always needed to bring each trade paperback back into print in this new age where new money is always in short supply. Judenhass ended up selling only 10,000 copies when it was first released and then sold virtually nothing after that. Which forced me to a couple of hard decisions: that I could never again do a carefully crafted piece of work where I didn't "let go" of a page until I was completely happy with it and that I needed to go back to doing a regularly published title since it was clear I couldn't expect to sell enough of any "one shot" to supplement my income except on a one-time basis. This wasn't good news because I was pretty sure that I couldn't catch lightning in a bottle twice. Cerebus had been "it" for me. You can't compete against your own 300-issue series. But I had no choice. I had to try very publicly knowing that I could only fail very publicly. So I developed glamourpuss and then hoped for the best. As soon as I saw the sales on the first issue - 16,000 - I knew that the title and my career were doomed. Because of the sheer volume of material published in the direct market, retailers need to order the highest numbers on the first issue and then start cutting drastically - on average: 50% per issue thereafter. 16,000 down to 8,000 down to 4,000 down to 2,000 and... oblivion: because Diamond, quite reasonably, needs you to sell in order to offer your work in Previews. As it turned out, the sales dropped, while predictably radical, unpredictably began to level off. I was still flying into the ground but not STRAIGHT into the ground, the point where I would crash moving an issue or two "downrange" each time. I made less money per issue as sales dropped, but, along with MOST of the money from the Cerebus trade paperbacks and ALL of the money from Judenhass, there was enough coming in to help me keep paying Gerhard, week after week, month after month, year after year. I kept going with glamourpuss even after he was paid off in 2011 because that was the hidden detriment of doing a new title: you can't quit: because the retailers, naturally enough, are just going to look at your track record. If you scuttle your own title, they aren't likely to support the next one. I was also slowing down in my ability to write and draw and I was trying to draw in a style that was really very far above my level of abilities. Bad combination in your mid- and then late fifties. I tried selling both glamourpuss and Cerebus Archive as print-on-demand titles from ComiXpress, thinking that would help supplement my income. Not really. The built-in problem is how much it costs to ship individual books by mail in 2012. Too much, as it turns out. My royalties from sales of all the combined titles (38 comic books at the end there) was seldom more than $700 every three months or so. 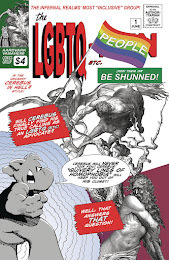 I started Cerebus TV thinking that I could use an online Internet show to promote both titles, but couldn't figure out how to make it work financially even on a bare bones shoestring budget. I will be making a last-ditch attempt to recover some of the money I spent with Cerebus TV Digital Downloads at 99 cents per episode. Of course that 99 cents has to be split three and sometimes four ways. We'll see what happens. If anyone is actually reading these words and/or is interested Dave Fisher, Max Southall, John Scrudder and I would really appreciate your support. In a final attempt to keep going, I re-jigged glamourpuss with zootanapuss, using both the idea of a variant cover as zootanapuss No. 1 and double shipping each issue (5,000 when I only had orders for 2,500) with the idea that if the retailers had to order four copies of the regular book to get the low-print run incentive No. 1 and got twice as many copies as they ordered for three issues -- six months -- and had them to put out on display and for sale in their stores, that they would take whatever increase in sales there was and add it to their orders on No. 25 and I could start sales going back in the right direction. It actually worked. Sales did go up on No. 25... but only by 34 copies over No. 24. I had arrived at my career end point. I pulled the plug first on Cerebus Archive, then on Cerebus TV and then on glamourpuss. 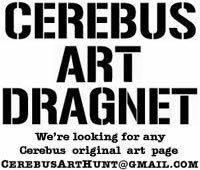 Not really saying anything to anyone, just walking away and starting my Doomsday Scenario -- selling my Cerebus original artwork as slowly as possible, and looking at ways to liquidate the Cerebus Archive itself, up to and including just sending all of it to a landfill site or paying 1-800-GOT-JUNK to haul it all away, selling the house, liquidating the last of my RRSPs and my life insurance policy and just... disappearing. This planning continues in various forms and permutations... although with the success of the High Society Kickstarter campaign (and thank you, if any of our pledge partners are reading this), now postponed for however many months the Kickstarter money lasts. I'm guessing somewhere between November of this year and March of next year. Of course the dangling thread is that while I started glamourpuss with just some idle musings on The History of Photorealism in Comics, this eventually evolved into a more elaborate and more deeply researched narrative which -- obviously -- I would rather not leave just dangling so long as I'm able to hang on by my fingernails. I doubt I'll live long enough to do an actual History, so it's now compressed into The Strange Death Of Alex Raymond with preamble material and a framing sequence from glamourpuss No. 1 to 13. At the rate I'm going, I would guess I could get, maybe, another 15 pages done if my career lasts until November of this year or 30 pages if my career lasts until March of next year. I only have a rough estimate of how many pages I have left to go, but it is considerably more than 15 or 30 pages. I've been dividing my twelve-hour working day into two segments: things I do to make money and glamourpuss. Now, I'll be dividing my working day into things I do to make money and attempting to finish The Strange Death Of Alex Raymond. Then come November or March, I'll be dividing my time between Doomsday Scenarios and attempting to finish The Strange Death Of Alex Raymond. Even if I get rid of everything and quit, I'm hoping the last thing I'll be working on that last day as 1-800-GOT-JUNK hauls everything away, will be a page of The Strange Death Of Alex Raymond which will then be sent to... someone, I don't know who... as the last page of Dave Sim's last uncompleted work. I'll be posting updates on both my progress on The Strange Death Of Alex Raymond -- although probably not the pages themselves -- as well as whatever Doomsday Scenario as it kicks in at Dave Sim Art. So, now I walk away from my almost totally silent audience of 2,400 and prepare to stave off complete oblivion with the 1,140 Kickstarter pledge partners. Wish me luck. Thanks for buying this, and thanks for buying however many other issues you bought, whoever you are. ...but it was a lot of fun while it lasted. Apart from that, keep up the great work. A Moment of Cerebus is a great resource. Thank you. Anyone know how can we help? - buy Digital High Society on 10 October when it goes on sale. 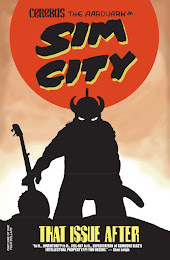 - recommend Cerebus and Digital High Society to other people you know. 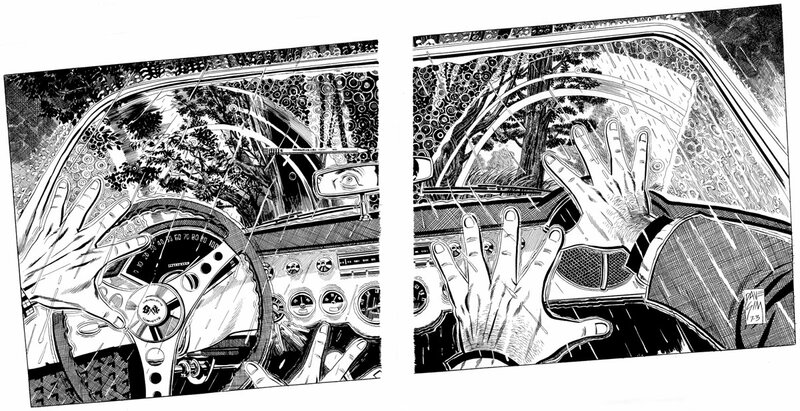 - buy some original art from the Dave Sim Art website. 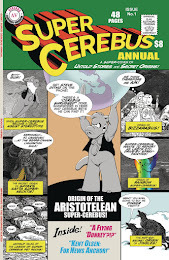 - support the next Cerebus Kickstarter when that rolls around. Dave Sim, you have much to be proud of. Congratulations on an amazing career! I hope something turns in your favor soon. Good luck. It seems like one of my other favorite comic book artists, Steve Rude, has had some tough times too. Rude has been drawing for DARK HORSE PRESENTS. I wonder if Dave could draw for them, as he once did for Epic Illustrated, some short pieces. Might he try another character-based narrative story? I think that would appeal to readers more than the odd mix of pop satire and art history that Glamourpuss offered. I wish Dave the best. 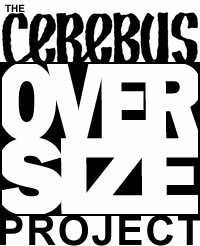 Rather than 1-800 Junk, someone should put Dave in touch with a serious archivist at a serious institution to purchase the Cerebus Archive. I never thought I'd say this but... "I agree with you"... on your idea for licensing the trades to Dark Horse/IDW/Image. 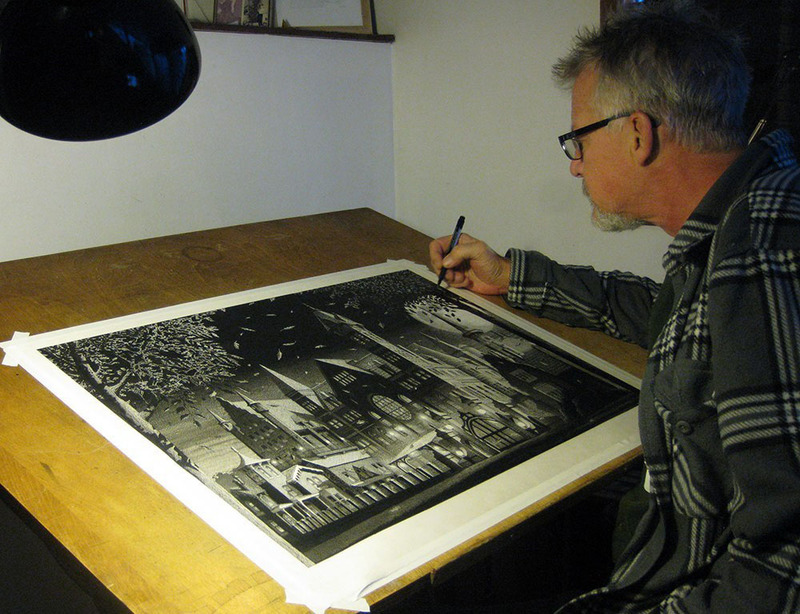 It would solve the reprinting cashflow problem for Dave and (selfishly) I'd love Cerebus hardbacks on decent paper. I suspect Dave wouldn't agree with us though. It'd be interesting to hear his thoughts on this. I agree too. I'm still surprised when I come across the trades in larger bookstores. I shouldn't be (surprised, I mean); these books deserve shelf space with the best collections out there. I would imagine that one of the bigger publishers would be more than delighted to get their hands on these books, particularly the earlier ones, and pimp high quality versions for all they are worth. But what the hell would I know; I'm biased. 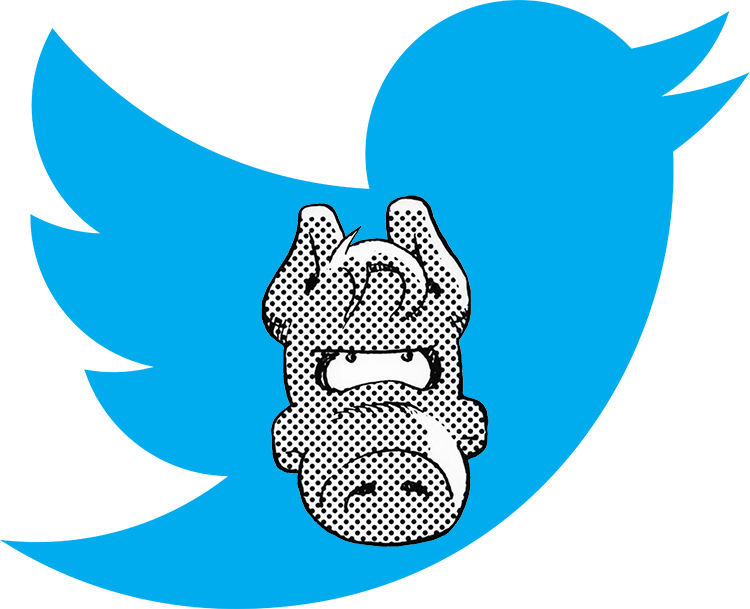 Bring Cerebus Back! Give the people what they want! "The World of Estarcion" "Palnu Nights" "The Adventures of Elrod" "Untold Tales of Cerebus The Barbarian"
If that's tracing, I wish I could trace that good. Have you SEEN some of the those pictures up close?? Just amazing. The incredible ink work alone (issue 20 is a particular favourite) is enough to just find yourself pouring all of your attention over again and again. For the record, even if you don't like the fashion model photo-realism / fashion parody pictures (and I really really did) (Free Lindsay Lohan! ), there was still the history of photo-realism part. But yes. 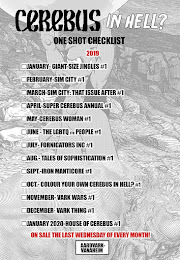 Definitely support the next Cerebus Kickstarter when that rolls around, and Digital High Society, along with all of the other suggestions listed above. Considering all the TONS of extra goodies and behind the scenes stuff we seem to be getting with this High Society one, I think people are beginning to see exactly how amazing a package it really is (just the alternative dialogue for "The Night Before" scene between Cerebus and Jaka I think is enough to get most people chomping at the bit). I think that's a great way to give some people what they seem to think they want. I also think that the changing marketplace is not to be underestimated. I think that's why DC and Marvel have been pretty much trying to fire off any and all tricks that they have in their bags: eg reboot,re-launch, Before Watchmen, New 52, Marvel Now, etc. 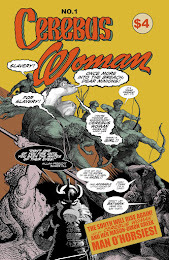 If it wasn't for Dave Sim--both as inspiration & in fact direct early help--I would not do comics. I have many heroes that brought me to the form.But Sim is & always has been more crucial than any. So yes,it's heartbreaking. Dave Sim taught me & a whole generation of creators that all you need is to do the work & you can do this yourself. Dave Sim once took the time to personally teach me a lesson about layout. He didn't have to do that. And I have never forgotten this. And we all owe Dave Sim more than he's ever gotten back from any of us. Kim Thompson has actually said today that hewould love to print Cerebus in bookstore ready format. So let's not write off Fantagraphics. I'm curious to know what kind of work Dave does half the day "for money". Depressing but not wholly unexpected. I couldn't figure out how he was making money post-Cerebus or if he was just living off phonebook sales. How he was even doing that considering he was giving serious tithes to the church. Some of the commentary from j-ay on the blog makes a lot of sense. Dave, being such a kooky lone maverick, would rather fade into self-pitying obscurity than take any of those practical measures, I would guess. Could he make a go of it reviving Cerebus? I'm sure. Could he adapt some public domain literary work to comics & make a living? (Like Oscar Wilde perhaps...) I think so. It's tough seeing a rock star fall on hard times. Remember, he was making thousands of dollars a month for a good couple of decades though. He may never reach such heights of success again but surely his career isn't over unless he wants it to be over. Teaching at Ryerson? Ontario School of Art & Design? Tell me they wouldn't beg to have him. Sad news. Good luck Dave. My "master?" I'm definitely a fan, but I dunno. Considering how much typing and talking you've done not only on this web-site and elsewhere (WAY more than most fans) criticizing and insulting him, I would say that shows he's waaay more your "master." Like someone who just can't seem to let go over their heartbreak. I've seen jilted 16 year old girls who constantly b*tch less about someone. Although the difference with 16 year old girls is that they usually get over it. I really do wish that if that was tracing, that I could trace that well. I'm not saying that there isn't tracing involved in the process, but the final product is definitely vastly superior than 'just tracing.' To me anways. You and others (even Dave) may not agree, and that's okay. It makes no difference to me. People criticize Alex Ross for his drawing techniques, and I still admire his work. And as I said, glamourpuss wasn't only comprised of what you consider tracing. But mind you, if you're comparing an inspirational work of art (Or Art or ART) like Cerebus and what it accomplished to a basic hamburger product, well, to quote Family Guy, "Well then we....are on two....different....wavelengths. Thanks for reading. Peter Griffin." I've no problem with people voicing and arguing their opinions in a civilised manner on this site, but name calling and generally childish comments will be deleted without warning. However, if you do have a specific question for Dave, why not participate in the HARDtalk Virtual Tour? Post your question at one of the participating websites (not on A Moment Of Cerebus) and, if chosen, win a sign/head-sketched Cerebus comic. Dave's answers will be posted nearer the launch of Digital High Society on 10 October. I wish Dave all the luck. This is a tough time for all of us and he's obviously up against the wall. It's almost like he's in a sophomore slump after doing his freshman project for 30 years. I am confident this can be turned around if he gives himself a chance (and if the world gives him a chance, too). FYI, I would buy digital copies of Glamourpuss and any other Sim books in an instant if they were available through, say, Comixology. John The Revelator hardcover graphic novel. I'd buy it. Dave's I never even knew this web site existed. I guess my internet presence is lacking. I have most of the issues of glamourpuss and have bought the entire phone book set four times (due to fire, flood, impounding, and eviction). I guess I was just naive, I always thought of you as doing fine. It's funny,it is never any of your business until you wish you could have done something to stop it. I am a huge fan, obviously, and glamourpuss is great. That fire breaks my heart, the notices of that were where I first found out about this. The thought of your papers being scattered is literally heartbreaking. There is no justice in this situation, the thought of a life's work having a second life through those pages was always a comfort. People can be pretty cruel when they don't agree with someone, but all I think, can respect the honor with which you have done business, the situation with Gerhard being an example. I will see what I can do to throw some support your way. We don't have much right now, but I can't let this pass without personally raising a hand. I honestly wish you the best, as the blessing/curse goes, this too shall pass. I hope it's a blessing. I don't know what other people's experiences are, but I'm getting a hell of a runaround from ComiXpress. That might be part of the problem here, if they are just taking money and not printing and sending out comics and ignoring emails for an order update. 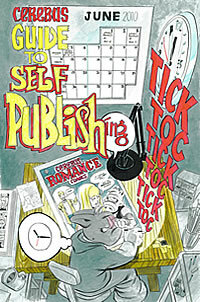 Let us know at Cerebus.TV or Cerebus.com (see the Contacts Page there) with details of your ComiXpress problems and we'll do our best to get them resolved. I really liked glamourpuss it was very strange & funny. So unique you just had to buy it. Its just that the subject matter finally failed for the series. I could NOT TOLERATE "The Strange Death of Alex Raymond" any longer. (SDAR) I realized one day Dave was never going to shut up about this. Issue after issue I kept thinking "it will be over soon". No, it continued forever. Dave it unfortunately interested in what he is interested in. Why not spin SDAR into its own mini series? Then your glamourpuss readers won't have to sit through it? After about 6 issues of that I wanted to see a 1 page, no 1/2 page dedicated to SDAR on page 1 of the comic where SDAR finally dies in a totally unrealistic manner, drowns in a huge Bridgeman's ice cream sunday or something. Dies by filling his lungs with ice cream topping. That is the SDAR I was looking for a after so many issues. "The Strange Death of glamourpuss/Dave's career" was caused by "The Strange Death of Alex Raymond". The fact that Dave is still working on SDAR fits perfectly. At this rate on Dave's gravestone will be a paragraph explaining about this guy, Alex Raymond so forth and so forth.